If you are among those parents who need to fight with your kid to take temperature or you are reluctant to take your kids temperature because they get so upset. 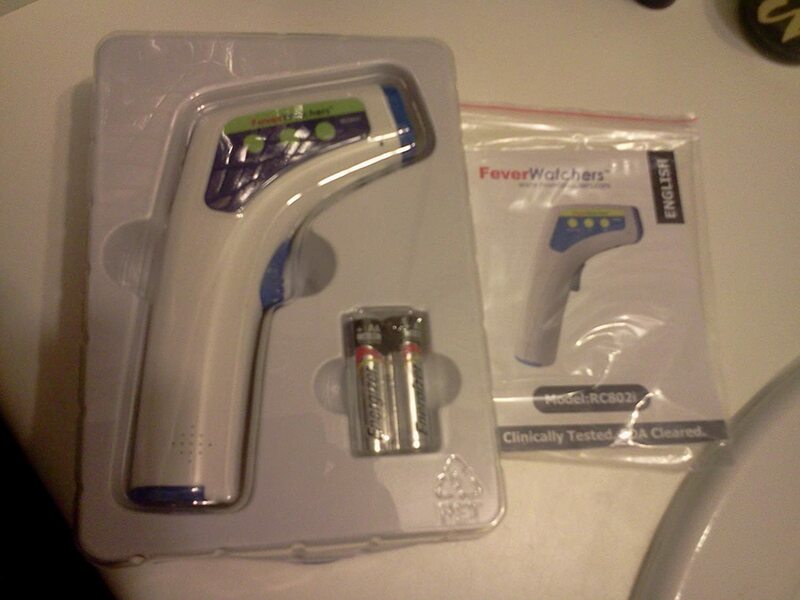 Then FeverWatch Professional Clinical Non-Contact Infrared Thermometer is just for you. Non-Contact Thermometers are designed to make parents lives much easier. FeverWatch Professional Clinical Infrared Thermometer’s proven accuracy, ease-of-use and instant reading ability eliminates any uneasiness that comes along with obtaining the temperature of an infant or toddler. With powerful sensors this non contact thermometer can measure energy accurately without even touching the body. The FeverWatch Professional Clinical Non-contact Infrared Thermometer takes a very fast and accurate reading in just about a second . Your child will even not know that his temperature is being taken. Using FeverWatch Professional Clinical Infrared Thermometer is really very simple. Just point the laser light towards the forehead of your baby and push the button and the thermometer will beep to indicate that the correct temperature has been taken. And what great is, it even indicates any errors that may have caused a problem in which case you take the temperature again.